Chiefs-Rams Monday Night Football game relocated to L.A.
Chiefs-Rams won't be played in Mexico City after all, and pyrotechnics from a Shakira concert bear part of the blame. “The decision is based on the determination — in consultation with the NFLPA and following a meeting and field inspection this afternoon by NFL and club field experts as well as local and independent outside experts — that the playing field at Estadio Azteca does not meet NFL standards for playability and consistency and will not meet those standards by next Monday,” the league wrote in a statement. The Rams, who arrived in Colorado Springs on Monday to practice this week and acclimate themselves to Mexico City’s high altitude, plan to stay in Colorado this week and go through their planned practice routine, per NFL Network’s Andrew Siciliano. For those who still want to go to the game, it sounds like that’s going to be easiest for Rams’ fans who already have season tickets (season ticket holders can buy their current seats online and add up to four additional seats in a presale Wednesday). The team will release general tickets later on Wednesday, and they’ll also be giving thousands of tickets to first responders who have been battling the California wildfires, which is a nice touch. All in all, it makes sense to relocate this game. League officials, coaches, players and the players’ association have all expressed concerns about the field, and it doesn’t seem possible to fix it in a week. But this relocation is a big deal, and it is going to make things tough for a lot of people. And it’s amazing that a concert that could do this much damage to a field was approved just weeks ahead of a NFL game. But hey, turnabout is perhaps fair play, as NFL games have previously torn up the surface at London’s Wembley Stadium ahead of Premier League games, including one this year. 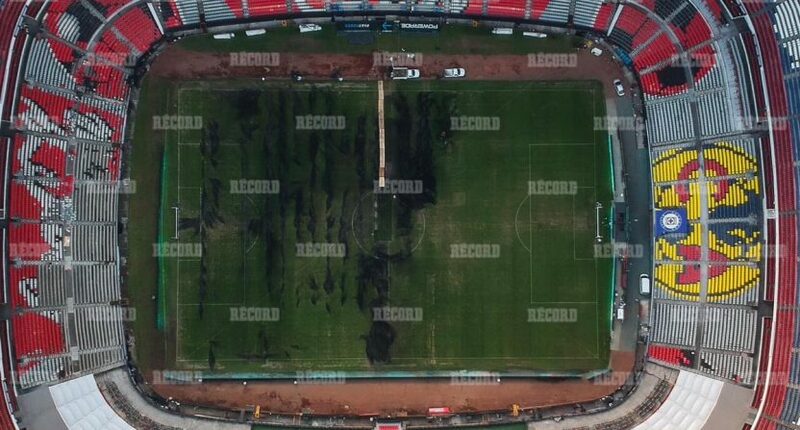 So they’ve gone from hurting soccer teams’ fields to having their planned field hurt by soccer and Shakira. How unfortunate.